The race finally restarted around 8:30 last night. Poor Kasey wound up having a terrible night and finished 31st. 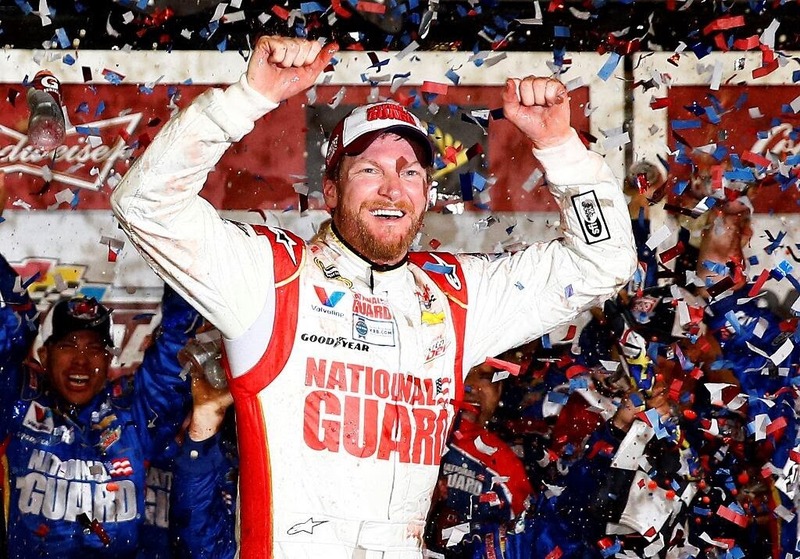 Like my dad used to say, “Some days you eat the bear, and some days the bear eats you.” But on a happier note, Dale Earnhardt, Jr won. It’s his second Daytona 500 win. He looks happy doesn’t he? Kasey and the No. 5 Team will be back next week in Phoenix looking for his first win of the season. Tomorrow is my guilds, Brunswick Quilters, first outreach workshop of the year. Gary and I have put kits together for baby quilts and walker bags that members can take home and make. It’s so nice out today, I think we will load the car, except for my sewing machine, just in case it’s raining in the morning. We will be working on quilts for fire houses in the county. We started this project last year after it was announced that every district throughout the county will have a house manned 24 hours. I love the outreach workshops. The woman who chairs the committee, always makes homemade manicotti for everyone at our first workshop of the year. And it is so good. I am still working on the list of my UFO’s. I had forgotten about some of them. I am told by much more dedicated quilters who have been quilting much longer than myself, that UFO’s are a part of the whole quilting experience.